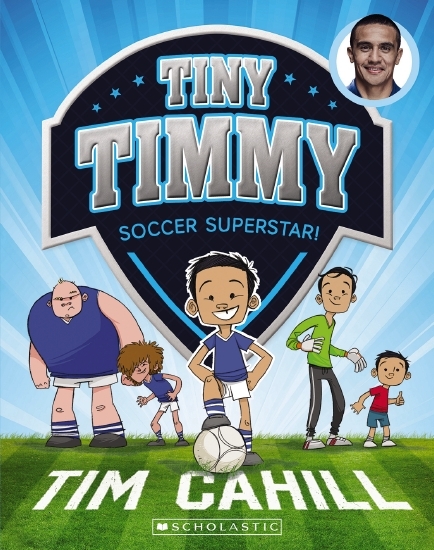 Tim tries out for his school team but keeps getting pushed off the ball and doesn’t make the side. The coach tells him he’s just not big enough to cut it with the other kids. Devastated, Tim tries some ‘unconventional’ ways to make himself taller — with not-very-successful but hilarious results! He finds the best thing to do is practise hard with his brothers and friends. Confronted with a tricky situation, Tim comes to realise that although he isn’t as big and tall as the other kids, he can jump really high. And because he’s been practising so much, he has better skills and shooting than the other kids. Will it be enough to earn him a place in the team? Glen Waverley Primary and Secondary followed by Deakin University. Kind of quiet, fairly shy, fairly unconfident! Y’know, the usual stuff! So many things, it’s hard to choose just one! They varied over the years but I have specifically fond memories of My Cat Likes To Hide In Boxes. I’ve no idea what amused me so much particularly — but amuse me it did! Oliver Jeffers or Lauren Child ... or I could go on! Food: a good hearty pie! Colour: ... not really sure. Movie: Shaun of the Dead. I’ve always loved drawing so it just sort of began when I was little and carried on from there — numerous things have helped influence me on the way — often movies. Professionally — by getting my folio out there and someone kindly offering me a job eventually! See ‘who inspired you to write/illustrate’ for details! No idea! They just sort of appear — sometimes a situation may spark an idea or the things around me, music has been helpful quite often. Illustrating-wise, I always end up including things around me, in my house, things from my past or things I love. I have an office at the end of the hallway which is really quite full of books and toys and other odds and ends ... it will only fill more and more as time goes by! What is the best thing about being a writer/illustrator? Being able to write and draw all sorts of things — project to project I get to hop into completely different worlds and places. Have you had any funny or embarrassing moment as a writer/illustrator? I help raise my daughter, walk the dog, read, watch movies and cook all manner of things (sometimes successfully, occasionally not!). What would you have chosen to be if you were not a writer/illustrator? Hmm ... tricky question ... something to do with movies — maybe makeup effects — that’d be fun! That’s a fairly huge question - the mind boggles with possibilities ... to the point I’ve gone blank!